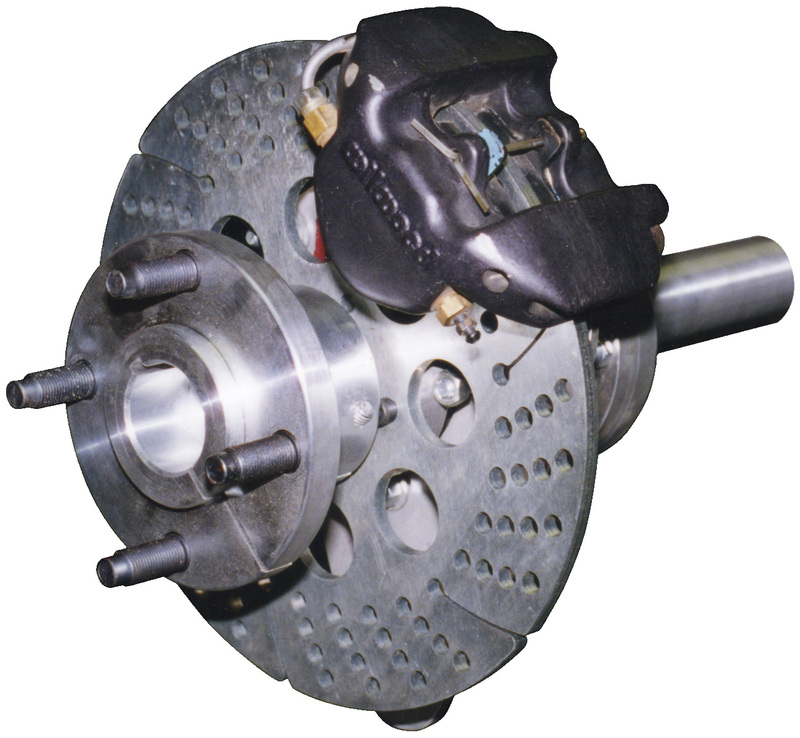 Acro rear brake rotors are 10" diameter x 1⁄4" thick steel discs with an aluminum hub. They are designed to be durable, economical, and lightweight, with vent holes for cooling and expansion slots to prevent heat distortion. 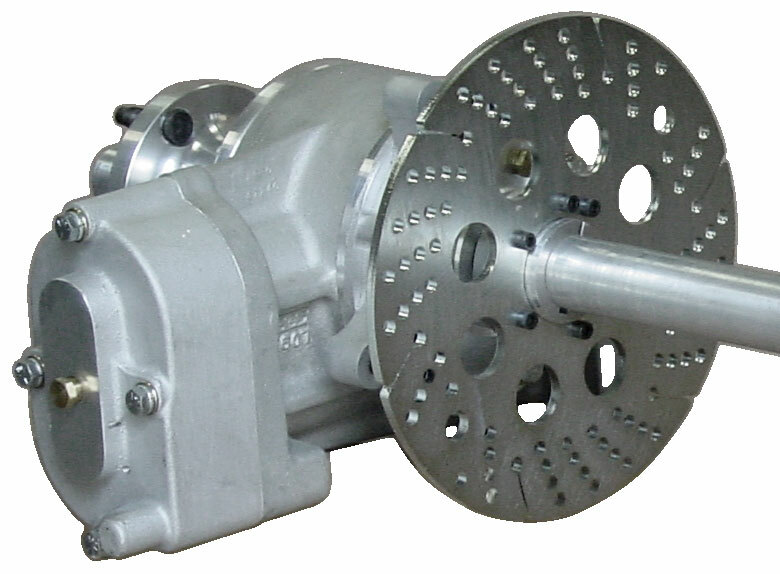 They can be mounted as inboard or outboard on any axle we offer. Holes have been added to allow access to caliper mount bolts when used as an inboard mount. 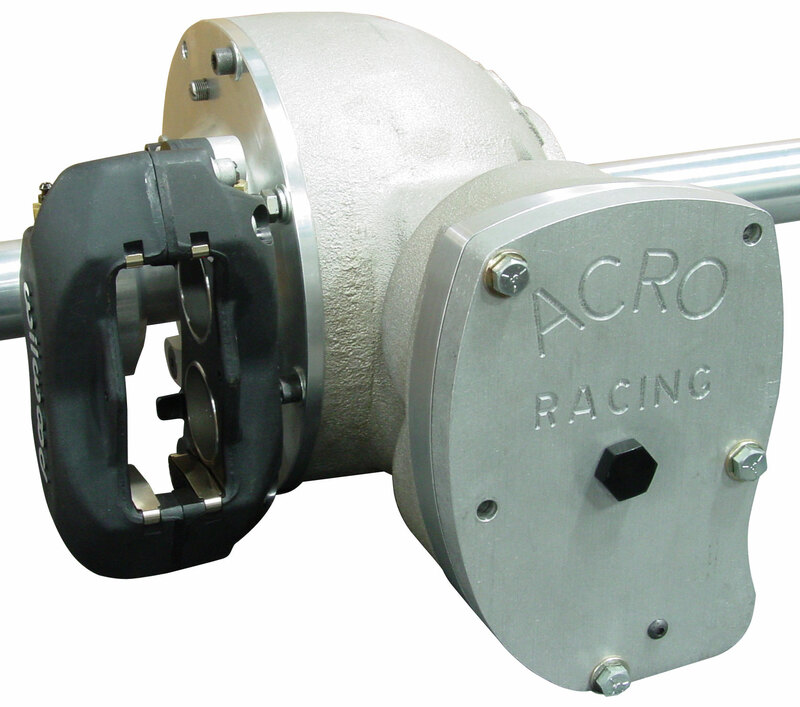 Acro caliper mounting brackets are made of aluminum for light weight and durability. Brackets are available for inboard or outboard placement on the rear axle. Inboard brackets mount directly to the center section. Outboard units are made in birdcage style as part of the carrier bearing assembly. Single and double piston styles are available.